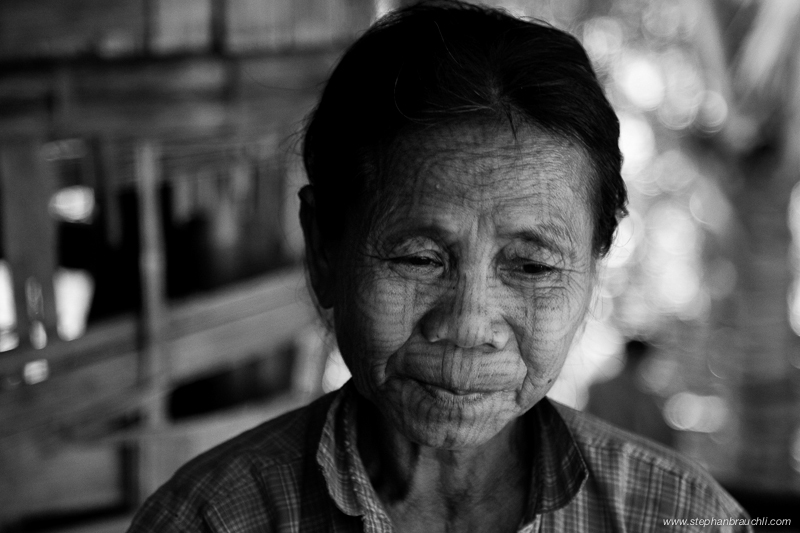 On 12.12.2010 I visited a tribe whose elderly women all have tribal tattoos in a remote Chin village in the state of Rhakine, Myanmar. It is said that the women of the Chin tribes were always known for their beauty. Due to this they were often taken away to be sold as slaves or worse. In order to stop this, the tribes started tattooing their faces. 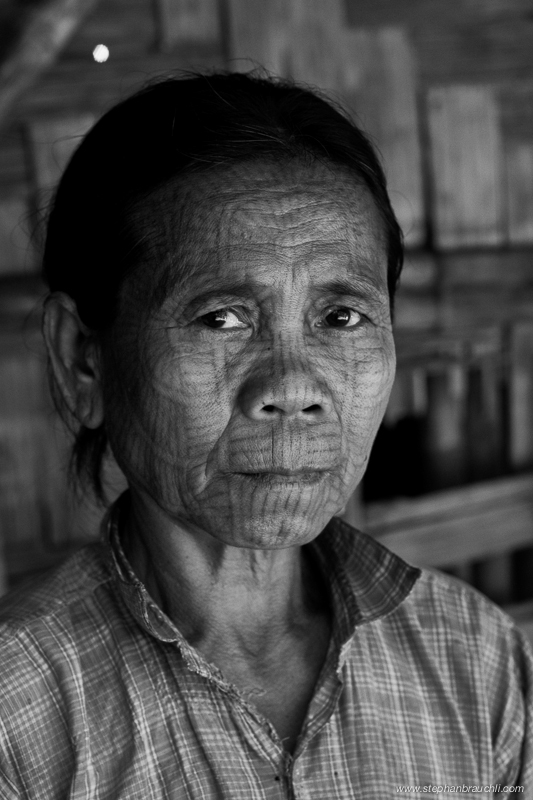 The Chin tribal tattoos were done with bamboo and must have been very painful as even the eye-lids were tattooed. 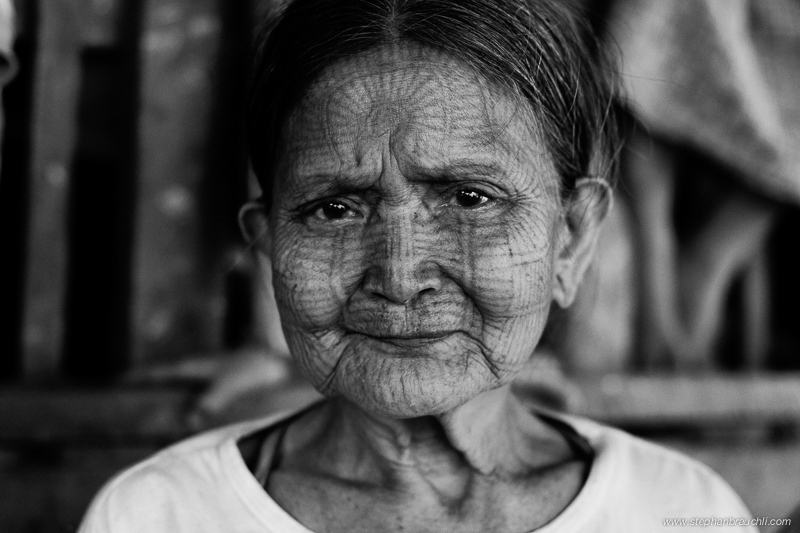 The Chin do not practice the custom of tattooing their women anymore, so the only tattooed women who remain are found in remote Chin villages in the Chin and Rakhine states of Myanmar. 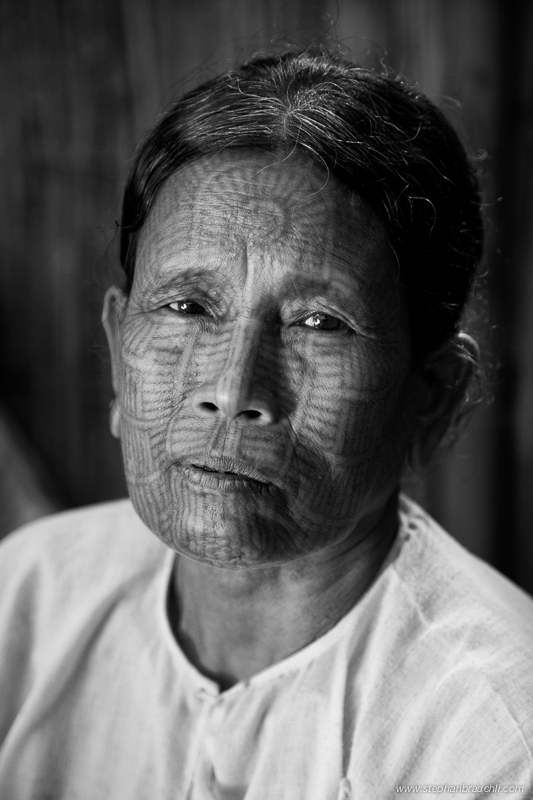 Depending on which village one visits, there are slight variations to the patterns of the tribal tattoos. I had to get special permission to enter the area where this Chin tribe lives. Apparently, there had been only very few people there before me (unlike some of the villages frequently visited by tourists which are situated closer to Mrauk-U). 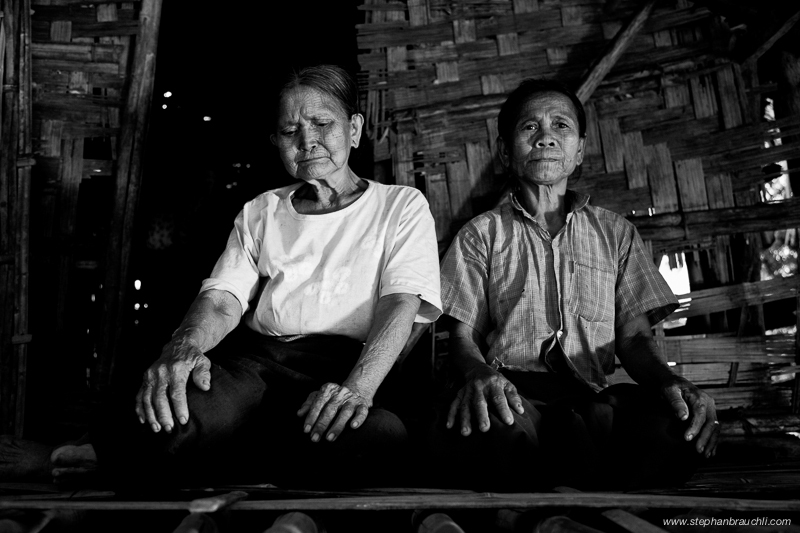 The three women I photographed were at first afraid of my camera gear. They warmed up to idea of being photographed themselves once I showed them the pictures of the village children I had taken. They really liked the results and so do I.